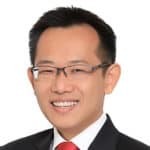 Singaporean real estate private equity manager Alpha Investment Partners has announced the $1.1 billion final closing of its Alpha Asia Macro Trends Fund (AAMTF) III, its third pan-Asian value-add vehicle. Having already invested in projects in Shanghai, Tokyo and Brisbane, the fund management division of Keppel Capital (itself part of state-controlled conglomerate Keppel Corp) is now fully cashed up and looking for additional opportunities in key gateway cities in Asia Pacific region, including Singapore, Beijing, Sydney, Melbourne and Seoul, according to a statement by the company today. The $1.1 billion in equity, which includes co-investments, takes the firm beyond its original target of $1 billion for AAMTF III with the company indicating that it had raised the cash from “institutional investors including pension funds, endowments and insurance companies,” including both new and returning partners. The Alpha Asia Macro Trends series, which was first launched in 2007, seeks to profit from real estate investments aligned with the urbanisation, growing consumerism and intra-regional tourism that are sparking growth in the APAC region. This latest fund targets a broad range of asset types, including retail and accommodation assets as well as offices, business parks and logistic facilities, according to the company. When fully leveraged and invested, Alpha believes that AAMTF III will have assets under management of approximately $2.4 billion. In September of this year Alpha already deployed a chunk of the $1.1 billion in capital from AAMTF III to team with Allianz Real Estate and an unnamed third investor in the $90 million acquisition of a building in Shanghai’s Bay Valley Business Park from CITIC Capital. Before even reaching this final close, Alpha had already made the first divestment from AAMTF III, disclosing in its statement today that it had sold a property in Tokyo last month. The fund sold Kanda 282 in December for an undisclosed sum after having acquired the Japanese asset 28 months earlier. Alpha said that it had achieved a 25 percent return on its investment through the sale. Since it was founded in 2004, Alpha has made approximately $10 billion in investment through its six real estate and data centre funds (including AAMTF III) with total assets under management of $9.5 billion as of the close of 2018, including leverage.